We're happy to announce that the all-new RotaCloud Terminal App, which is packed full of new features and improvements, is here! Over the past few months, we've been building, tweaking and testing our Time & Attendance app to make it faster and even easier to use. 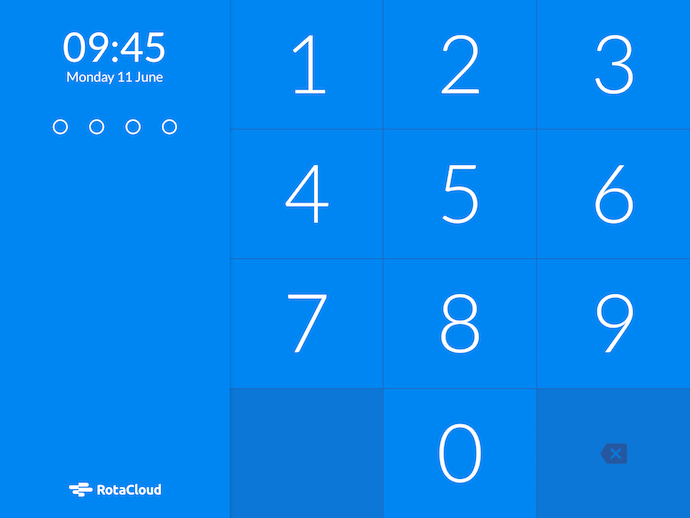 The result is the RotaCloud Time & Attendance App Version 2.0 — and it's arriving today via an automatic update. A fresh new design with bigger buttons for PIN entry, clearer user instructions, and more obvious warnings/error messages. A shutter countdown for clock-in photos. The ability for account Admins and Managers to change terminal settings via the terminal itself. Better compatibility with smaller tablets. Numerous performance and stability improvements. Clocking out is just as easy! 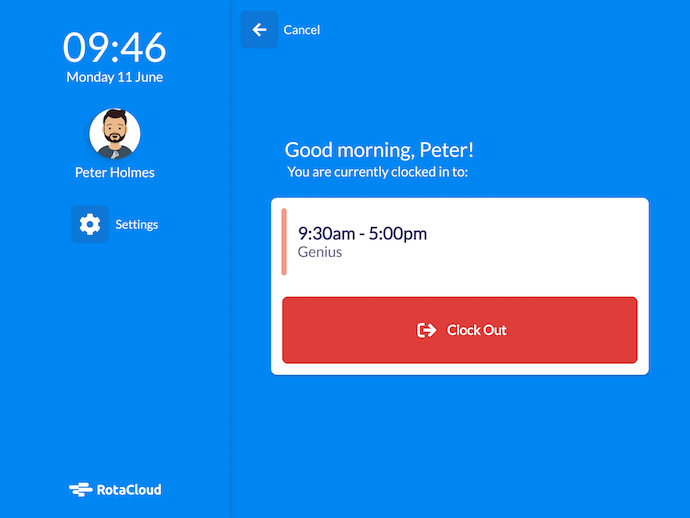 We've worked hard to make this the best, most intuitive way for your staff to clock in and out of their shifts, and we hope that you'll be as pleased with the update as we are. As ever, if you have any comments, questions or feedback, feel free to drop us a line either via email or using the live chat bubble in the bottom corner of your screen. 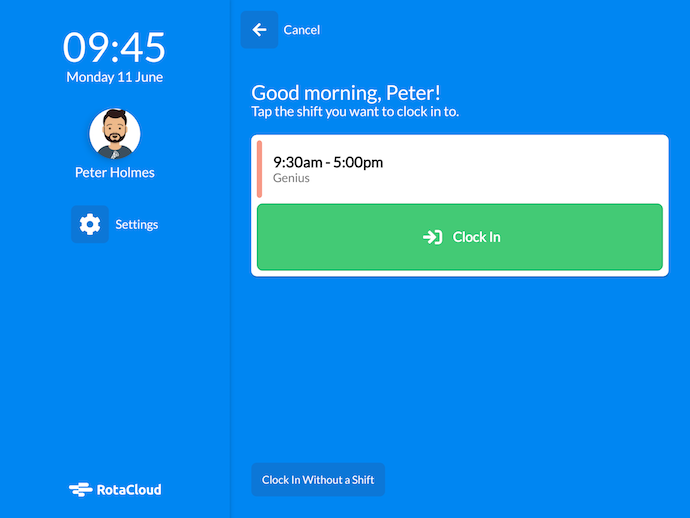 Please note, if you don’t currently have automatic updates enabled, you can manually download the new version of the RotaCloud Time & Attendance app. More posts by Phil Kendall. I make Android apps and occasionally write things. More posts by Peter Bryant.